I've been lucky the last few years at starting out my golf season at some pretty beautiful golf locations. Last year on Bald Head Island North Carolina at the Bald Head Island Club and this March playing another of Barefoot Resort's magnificent golf courses, the Dye Club. This year again was with family and friends and for me is what playing golf is all about especially with our "busy" lives. 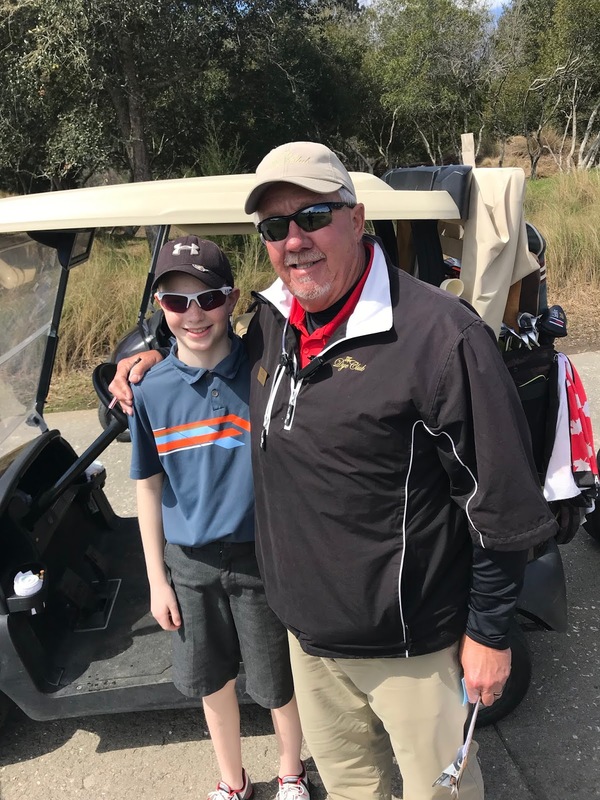 Trey a gentleman who wears many hats with Barefoot Resort was awesome in getting our large group set up for a beautiful day of golf at the Dye Club. Brilliant layout will have you using every club in your bag even if your only a 11 year old golfer. You have to love when your starter has the same name as your son. 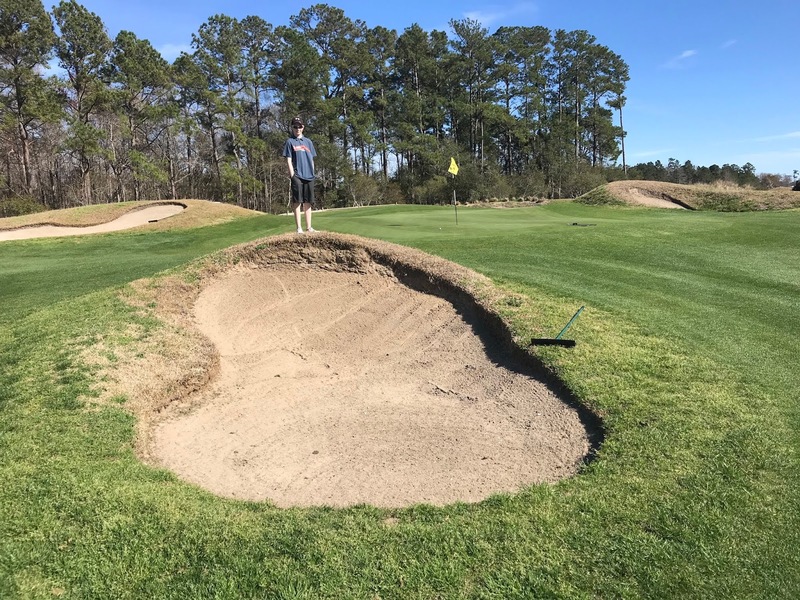 "Gus" was perfect gave us just the right amount of info on the course and informed us that all the bunkers are considered waste areas. The Dye Club had a great driving range for the golf starved Canadians to warm up. There were a few nice pars on this tough par 3 #15 with deep bunkers on the left side the tendency is to block it out to the right. With the pin in the back par felt like birdie. All carts have a built in GPS which is definitely a must for this Pete Dye layout. The par 10th can be a daunting tee shot especially with a right to left wind. Be sure and play from the right tees I might even suggest playing from one tee closer as you'll have a more enjoyable round especially if you're playing the Dye Club for the first time. I managed a 89 from the green tees for my first round of the season (normally I play from the whites). 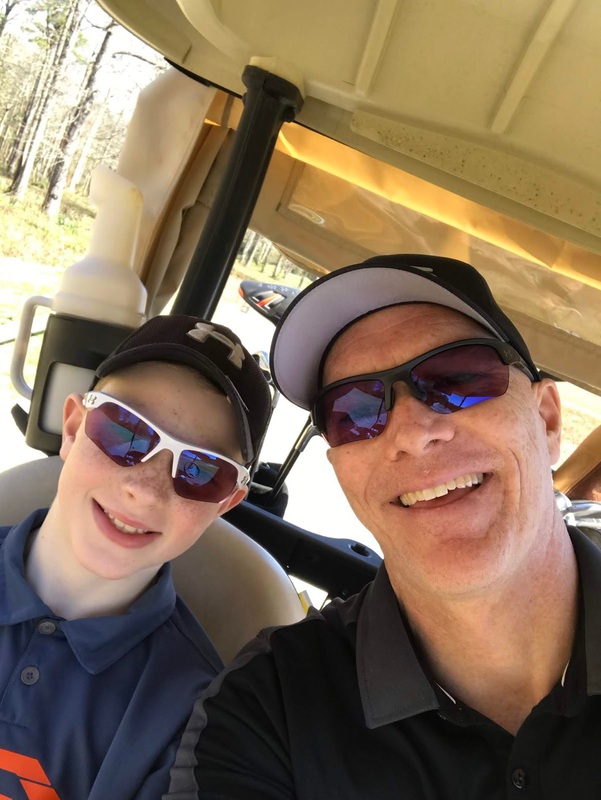 Combination great weather, fun yet fair golf course, and family made for happy golfers. Putting out on the 18th. Found this to be one the toughest golf holes at the Dye Club. Not the tee shot but the approach you can see from the picture nothing to stop the wind. So beware of wind direction and of course Dye's infamous perils around the green. 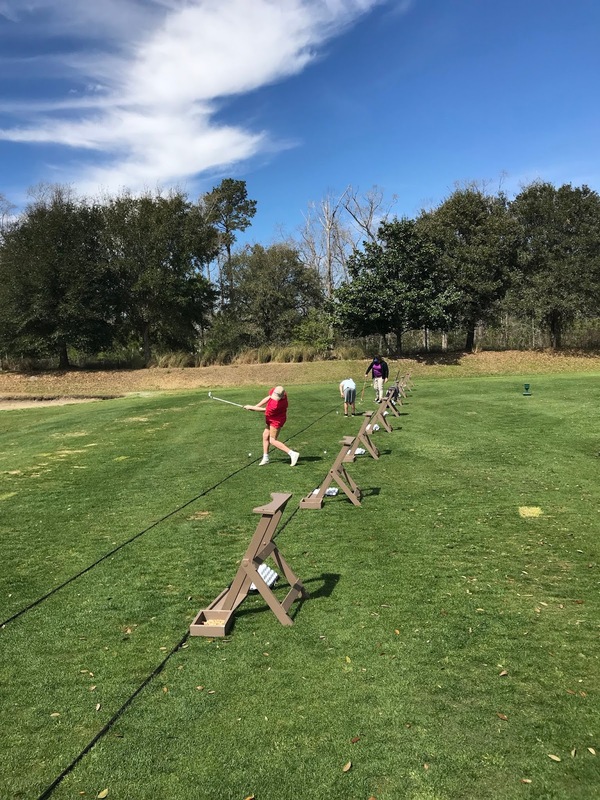 Spring has sprung at Barefoot Resort. 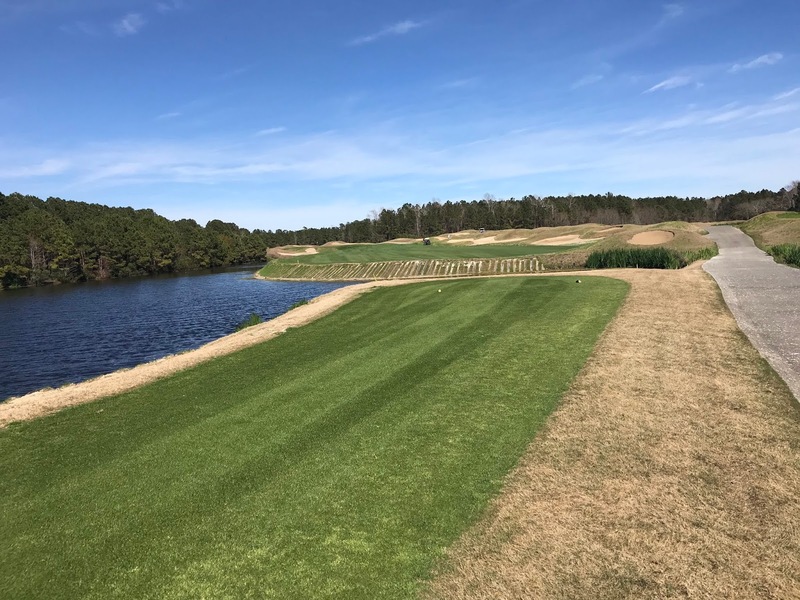 For Spring Golf in the Myrtle Beach area I don't think you can find a better place for a round then at the Barefoot Resort Dye Club Golf Course with exceptional customer service and a layout that will test out all levels of golfers. 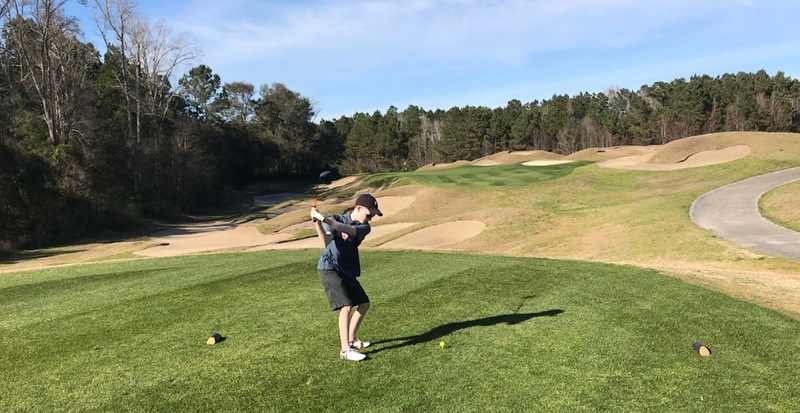 Our group had a great day playing this Pete Dye designed course. Yes we could of used a bit more practice out of the waste bunkers and it did took a few holes to get use to the speed of the Champion UltraDwarf Grass greens but smiles all around when we finished on 18. Would go back in a heartbeat.